A native of Alabama, Dr. Chris McCaghren holds a Bachelor of Arts in communication studies and classics from Samford University, a Master of Theological Studies from Beeson Divinity School, and a Doctor of Education in higher education leadership and policy from Vanderbilt University.  He joined the University of Mobile administration in July 2016. Dr. McCaghren began his career in higher education working in advancement for Samford University before serving as special assistant to Congressman Spencer Bachus in Washington, D.C. Upon returning to Samford University, he served under Dr. Andrew Westmoreland as assistant to the president for external programs and division head for the division of professional and continuing studies. Before assuming the role of Vice President for Academic Affairs at University of Mobile, Dr. McCaghren served as dean of the College of Education at Anderson University in Anderson, SC. He is married to Lauren McCaghren and they have a daughter, Callen. Dr. McCaghren and family are members of Meadow Brook Baptist Church in Birmingham, AL while they are transitioning to a new church in Mobile. A native of Alabama, Mrs. Lesa Moore holds a Bachelor of Science in marketing from University of South Alabama and a Master of Business Administration from University of Mobile, where she was presented the Dr. William K. Weaver Jr. Honorary Fellows Award and Best Composition Paper Award in 2007. She has over 25 years of experience in marketing and public relations in the high-tech industry, retail advertising and higher education. She has developed and led award-winning teams whose advertising, public relations and design work has been recognized locally and nationally by the Bay Area Advertising Federation, Public Relations Council of Alabama, Baptist Communicators Association and Higher Education Advertising Awards. Also, she is an adjunct instructor in marketing at University of Mobile. Prior to joining the university in 2002, Mrs. Moore enjoyed a successful career as director of marketing communication at Xanté Corporation, an international high-tech printer manufacturer. Mrs. Moore is married to Jay and they have two children, Logan and Olivia. They are members of Cottage Hill Baptist Church in Mobile, AL. A native of Alabama, Mrs. Charity Wittner holds a Bachelor of Science and a Masters of Education in Higher Education Leadership & Policy from University of Mobile, where she was presented the Area Award in Psychology in 2005. She has served in various roles in Enrollment including director of both the Admissions and Financial Aid teams at University of Mobile over the last 11 years. Prior to serving at University of Mobile, Mrs. Wittner enjoyed a successful career in sales management. She is married to Chase Wittner and they have one son, Braxton. Mrs. Wittner and family are members of Crawford Baptist Church in Mobile. A native of Alabama, Ms. Tonya Gollotte holds a Bachelor of Arts in psychology and a minor in sociology from the University of South Alabama. She joined University of Mobile in 2011 and has served in several roles within the advancement office, including Director of Annual Giving as well as Director of Corporate and Foundation Relations. She has more than 12 years experience working with non-profit organizations. Prior to the University of Mobile, she served as Executive Director for the Cystic Fibrosis Foundation for all of Alabama and West Florida as well as Executive Director for Making Miracles for Cystic Fibrosis. She is Past President with the Gulf Coast Chapter for Annual Fundraising Professionals and is a member of Rotary, CASE and SECFR. Ms. Gollotte has two children, Lexi and Brannon. They are members of Christ the King Catholic Church in Daphne, AL. Mr. Joe Wiegand oversees the business and financial operations of University of Mobile and serves as university legal counsel. He has extensive experience in Christian higher education, business, politics and law. Mr. Wiegand holds a Bachelor of Arts in American public affairs and social relations from Michigan State University and conducted legal studies at Notre Dame School of Law in London, England. He holds a Master of Arts in public policy from Regent University School of Government and the Juris Doctor from Regent University School of Law, both in Virginia Beach, Virginia. He holds a Master of Laws from University of London, King’s College in London, England. He is completing a Doctor of Education with a specialization in educational leadership from Liberty University. Mr. Wiegand is a member of the New Jersey bar, American Bar Association, New Jersey Bar Association, and the U.S. District Court for the District of New Jersey. He is married to Michelle and they have three children, Maeve, Gunnar and Declan. Dr. Dustin Bruce serves as assistant to the president at University of Mobile, assistant professor in the School of Christian Studies, and Associate Vice President for Spiritual Formation. Through writing, teaching and collaboration with churches and pastors, Dr. Bruce supports initiatives of the President’s Office and articulates the university’s Great Commission calling and biblical worldview. He holds a Master of Divinity from Southwestern Baptist Theological Seminary and a Master of Theology and Doctor of Philosophy from The Southern Baptist Theological Seminary. He has served in various ministry roles in Texas and Kentucky. Most recently, he served at The Southern Baptist Theological Seminary as adjunct instructor of church history and executive assistant to the provost. He joined the university in 2018.